Utility worker Juventino Gonzalez’s willingness to take on different jobs within his department in the 13 years he’s worked for CPS Energy is exactly the kind of attitude that will continue to make him a successful and valued employee. He started by installing pipes in new neighborhoods, then moved on to connecting lines to electric meters. In his current role, he helps his crew excavate bare electric lines in the city’s oldest neighborhoods to retrofit them with pipe. As he listened to CPS Energy CEO Doyle Beneby and then former AT&T and GM chief Ed Whitacre talk about embracing change, he nodded. “If the company wants us to embrace change, then we should embrace it,” he said. Gonzalez was sitting at the Pearl Stable on Tuesday, along with about 175 of his colleagues, participating in CPS Energy’s 2nd annual EmpowerU event. Launched last year, the idea was to offer a new and different kind of talent development opportunity to employees, who have consistently ranked opportunities for growth and development as a top priority. Last year’s event focused on CPS Energy’s strategy, offering employees a high level overview from Beneby along with industry experts who placed the company vision into greater context. This year, the focus turned toward human capital, and Beneby kicked off the event by urging CPS Energy employees to position themselves not just to survive the changes facing the industry, but develop and thrive within it. CEO Doyle Beneby talked about making lateral and even downward moves in his career in order to gain new skill sets that ultimately positioned him to lead the largest municipally owned gas and electric utility in the nation. Beneby has worked as a change agent since his arrival in 2009, trying to prepare the company and its roughly 3,300 employees for the disruptive changes facing the industry, from an uncertain and changing regulatory environment to the creation of an Internet-enabled electrical grid. Safety, as anyone who has listened to Beneby for any amount of time has heard, is his absolute number one priority. But a close second, he believes, is talent development. Toward that end, CPS Energy has rolled out a number of new initiatives under his watch, including EmpowerU, CPS Energy University, talent development teams, and a revamped job rotation program. Beneby used his own career trajectory as an example, noting that he’d made lateral, and sometimes even downward moves within the companies he’s worked for in order to learn every aspect of the business–moves that ultimately positioned him to lead the nation’s largest publicly owned gas and electric utility. Big Play Inc. founder Nancy Giordano talks to CPS Energy employees while Vice President of Human Resources Les Real looks on. 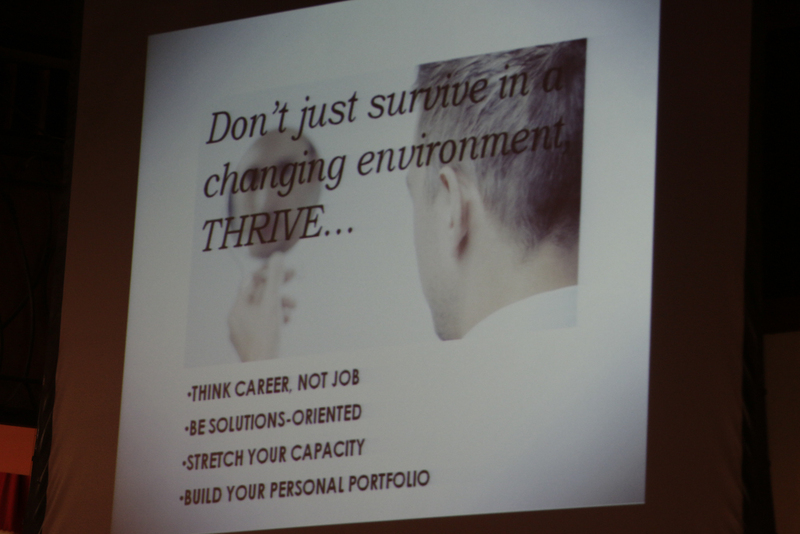 The changes facing companies and employees today are unlike the changes of yesteryear, Giordano told the crowd. As technology takes over more of today’s jobs, tomorrow’s workers must be nimble and creative, she said. The highlight of the event was keynote speaker Ed Whitacre, who led AT&T for 17 years before coming out of retirement to successfully lead General Motors out of bankruptcy. Whitacre’s book, American Turnaround: Reinventing AT&T and GM and the Way We Do Business in the USA, was published earlier this month. He, too, urged the crowd to take risks. Whitacre began his career began as a lineman for Southwestern Bell Communications. He ultimately navigated AT&T through sweeping changes in the industry, from phones hardwired to walls to wireless phones, then from flip cell phones to smart phones. The move to smart phones seems obvious now, he said, but at the time it was seen as a risk for AT&T. Whitacre recounted meeting with Steve Jobs in a hotel to take a closer look at an iPhone. Pressed to take on the bankruptcy at GM, Whitacre led the beleaguered auto manufacturer back to solvency in a single year. When he arrived, executives told him they did everything right and were just victims of the economy. Whitacre said he quickly learned that GM had a people problem when the union president told him he was the first executive to come on to the manufacturing floor, let alone speak to him face-to-face. In between speakers, employees talked to one another at tables around the room. Each had a mix, from executives to field crews, engineers to customer service reps.
Ward, who has worked at the company 22 years, has seen his fair share of resistance to change. “It’s so important that the whole company works together as an organization instead of working in units,” he said. 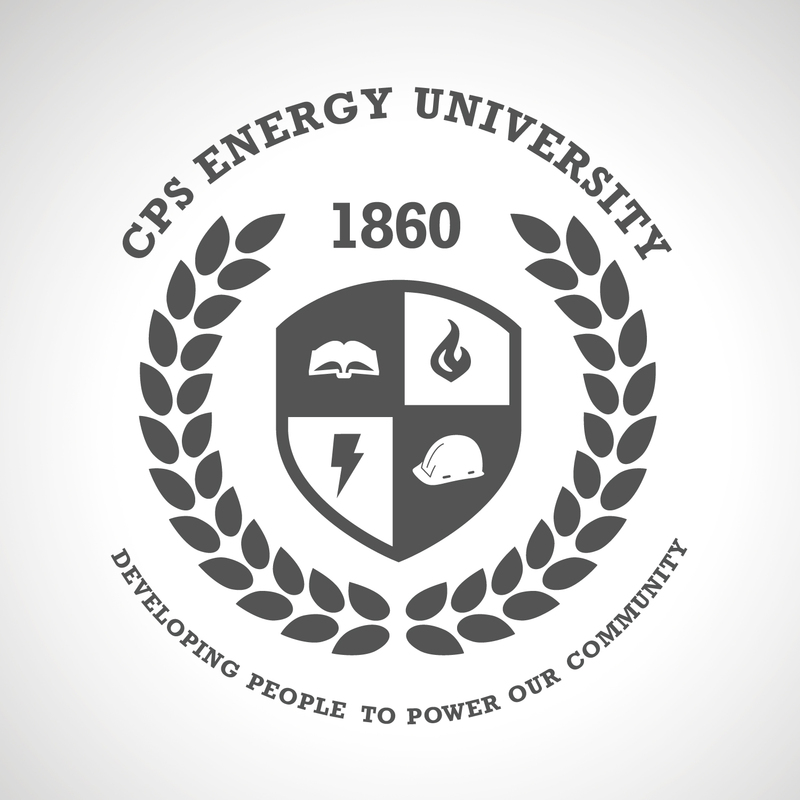 Breaking out of the silo mentality was one of the driving forces behind the creation of CPS Energy University. Created last August after studying best practices at other companies, the goal was to ensure training across the company was better integrated, relied on best practices and aligned with the company’s overall strategy and business plan. 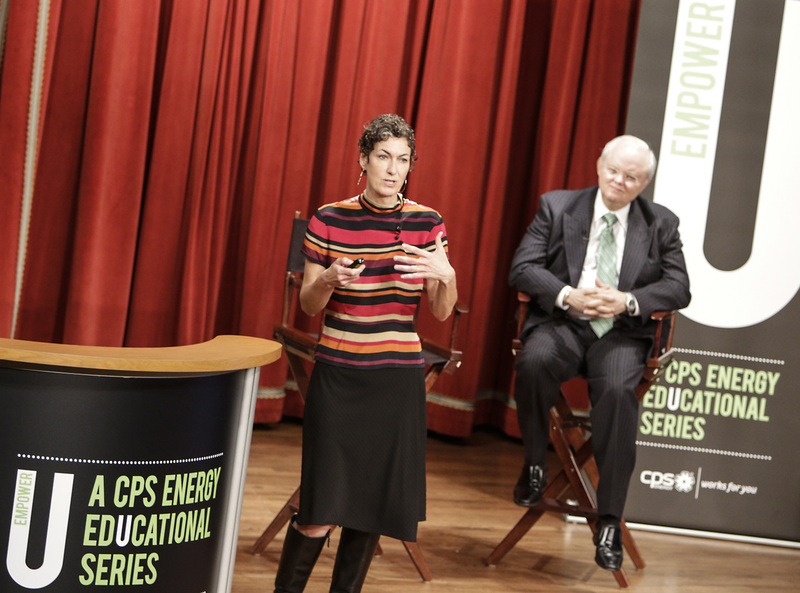 CPS Energy University was developed after studying best practices at some of the nation’s top companies. Vincent McDonald, CPS Energy’s longtime staff photographer, was recently promoted to a supervisory position, overseeing a team within the communications department. He’s in the inaugural supervisory development program at CPS Energy University, learning both the nuts and bolts of how to apply company rules and procedures to how to transition from a contributor to a leader. The training program has been incredibly helpful, McDonald said. Because he’s part of a group of new supervisors from across the company, he’s getting a fresh perspective on the company, while at the same time learning that many of the challenges they each face are similar. Such training, as well as events like EmpowerU, he said, “are investments in our employees. Most companies say employees are their most valuable resource, so it’s encouraging to see CPS Energy investing in and developing its workforce. Also last year, CPS Energy launched the first of its talent development teams, giving employees the opportunity to apply to work with employees from other companies, such as Rackspace, OCI Solar Power and H-E-B. The teams generally work on mutually beneficial projects together, allowing employees to learn about the other companies’ culture and processes. Jose Berrios, a nationally recognized expert on workforce diversity and former chairman of the Society for Human Resource Management, said investing in talent development is crucial for retaining and attracting workers. As he wrapped up the event, Beneby emphasized the idea of continual learning, urging attendees to think broadly about their future within the company.